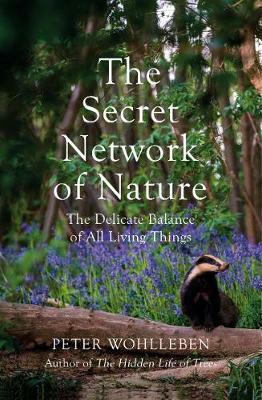 From the bestselling author of The Hidden Life of Trees and The Inner Life of Animals, a book that explores the invisible connections that maintain the balance of the entire natural world. Did you know that trees can make clouds? Or that a change in wolf population can alter the course of a river? Or that earth worms give wild boar directions? The natural world is a web of intricate connections, many of which go unnoticed by humans. But it is these connections that maintain nature’s finely balanced equilibrium, and tinkering with one tiny element can set off a chain reaction that affects an entire ecosystem. In The Secret Network of Nature, forester and bestselling author Peter Wohlleben opens our eyes to surprising connections and unlikely partnerships in nature. We’ll see how different animals, plants, rivers, rocks and weather systems co-operate, and what happens when these delicate systems are unbalanced.